Set in Melbourne’s heart – South Wharf and with a natural view of Yarra River, Showtime Event Centre is an award-winning wedding venue for Melbourne’s brides-to-be. In my eyes, it is one of the best places for the super chic brides organizing their weddings with an industrial loft style. At Showtime Event Centre, it provides an option to have your wedding ceremony here. The natural view of Yarra River and the city skylines are stunning backdrops when you say I Do. If you are religious, there are some Catholic and Orthodox Churches within 5km. For the post-ceremony wedding portraiture, you could have some relax and candid shots on the pathway next to Yarra River. If you don’t mind travel a bit more from Showtime Event Centre, say less than 5km, there are quite a few locations for your wedding photography. Parliament House, Carlton Garden, South Melbourne Townhall, Princess Pier, ACCA……It is probably too many for an experienced and professional wedding photographer to list that. There are definitely plenty of opportunities for them to create some artistic images. As a wedding reception venue, Showtime Event Centre has a capacity to seat 220 people for your wedding celebration. The food, the drink, the service and the coordination, all of them are something exceptional or I would say sensational. Showtime Event Centre has been nominated as the Best Wedding Reception Venue award from ABIA 5 years in a row and won 3 of them. 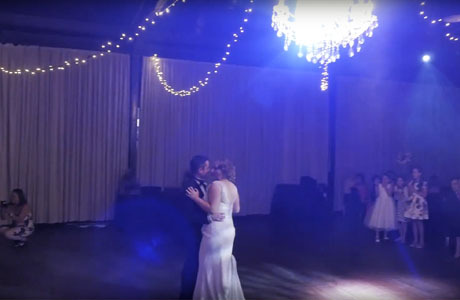 In a wedding industry professional’s sight, Showtime Event Centre is the top choice when you plan a chic and unique wedding in Melbourne City.